September 8 2018 from 10 AM – 3 PM Food Trucks, Dsplays, Period Dressed Actors, and Museum Tours. Zerchers Hotel is handicapped accessible. entry ramps in place for your arrival. to capture the Nation’s attention to the Fugitive Slave Act of 1850. Food Trucks, Displays, Period Dressed Actors, and Museum Tours. On September 11, 1851 this site played a central role in a series of events that have been collectively interpreted as a major spark in the kindling of the Civil War ten years later. These events also represented a significant point in the career of Abolitionist, Underground Railroad activist and U.S. 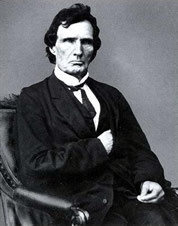 Congressman, Thaddeus Stevens. The Whig Congressman from Lancaster County served as the counsel for the defense of the 38 citizens charged with treason against the United States for their participation in what is now referred to as The Resistance at Christiana. At the time of the resistance The Center’s building was used as a hotel under the ownership and operation of Frederick Zercher. Over the years, this building has served as a hotel, railroad depot, town post office, telegraph office, jail and currently as the offices of The Charles Bond Company, a manufacturing firm in operation at the site since 1915.
before the Christiana Resistance's 155 anniversary. The events that occurred on September 11, 1851 in Christiana, Pennsylvania are cited as major flash points that led to the outbreak of the Civil War. These events are described in a guided tour by local historians at the Christiana Underground Railroad Center in an interesting and educational format for all ages. The persons, dates and the locations leading up to and following the Resistance at Christiana – originally called the Christiana Riot -- are presented in an authentic and easy-to-follow format of maps, photographs and narratives. The map has been reproduced in a brochure that will guide you to the station master's houses and the points of interest in the rolling hillsides of picturesque Lancaster County and neighboring Chester County. will open in the near future in Lancaster, PA.
Pennsylvania Dutch Convention and Visitor's Bureau is a wealth of information on the area. This web site lists Zerchers Hotel under The Quest for Freedom and Group Tours listings. In addition the site offers links to many attractions, valuable coupons, plus any help you might need to have a memorable trip to the area. Also Group Tours can register and receive information on all of the local attractions specific to your tour's interest. The Center’s location is en route between historic sites in the Philadelphia/Valley Forge area and the counties of Lancaster, York, and Adams. 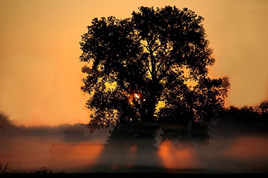 by the Lancaster County Heritage Program, which is managed by the Lancaster County Planning Commission. Visiting the Center will introduce you to the rolling hillsides of Pennsylvania’s Lancaster County and the “way of life” that continues to exist.